145 valid minerals. 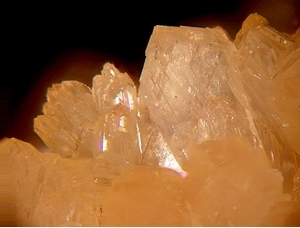 4 (TL) - type locality of valid minerals. Reference: Galbraith, F.W. & Brennan (1959), Minerals of AZ: 64.; Ross, Clyde P. (1925a) Ore deposits of the Saddle Mountain and Banner Mining Districts, Arizona. USGS Bull. 771. 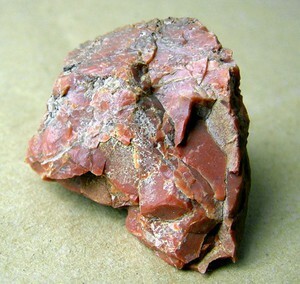 Description: Occurs in ,etamorphosed siltstones of the Naco Formation. Reference: Anthony, J.W., et al (1995), Mineralogy of Arizona, 3rd.ed. : 110; Perry, D.V. 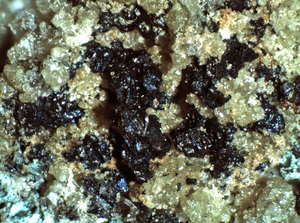 (1969), Skarn genesis at the Christmas mine, Gila Co., AZ, Econ.Geol. : 64: 255-270. Reference: MRDS database Dep. ID #10046325, MRDS ID #M241236. Reference: Raman analyzed at the University of Arizona. Reference: Eastlick, J.T., 1968, Geology of the Christmas mine and vicinity, Banner mining district, Arizona, in Ridge, J.D., ed., Ore Deposits of the United States, 1933?1967: American Institute of Mining, Metallurgical, and Petroleum Engineers, Inc., p. 1191-1210. Description: Crusts. 31 stope area of the mine. Reference: Anthony, J.W., et al (1995), Mineralogy of Arizona, 3rd.ed. : 115. 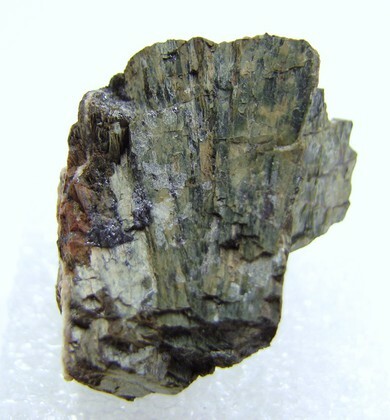 Description: Occurs as minute, blue matted fibers or blades; fills fractures; pseudomorphic after grossular and diopside in some areas. Found in an ill defined structure that cuts tactites. Reference: Cesbron, F.P. 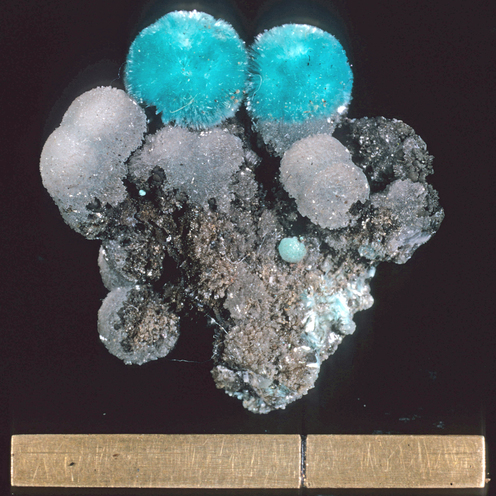 & S.A. Williams (1980), Apachite and gilalite, two new copper silicates from Christmas, AZ, Mineralogical Magazine: 43: 639-641; Anthony, J.W., et al (1995), Mineralogy of Arizona, 3rd.ed. : 116, 428. 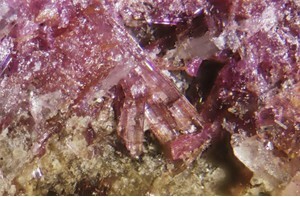 Description: Occurs as remnant euhedral grains in metamorphosed diorite. Reference: Anthony, J.W., et al (1995), Mineralogy of Arizona, 3rd.ed. : 116; Perry, D.V. 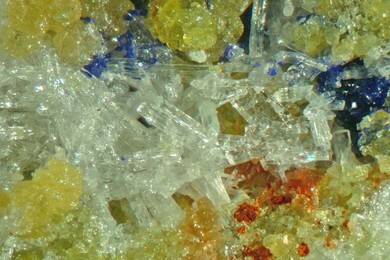 (1969), Skarn genesis at the Christmas mine, Gila Co., AZ, Econ.Geol. : 64: 255-270. 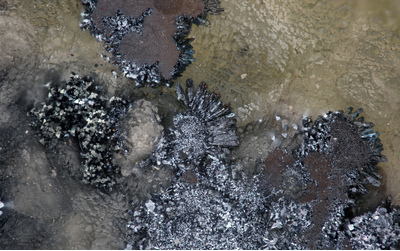 Description: Occurs in Tertiary basalts. Reference: Galbraith, F.W. & D.J. 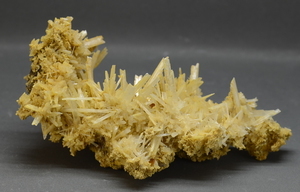 Brennan (1959), Minerals of AZ: 90, 95. Reference: Anthony, J.W., et al (1995), Mineralogy of Arizona, 3rd.ed. : 123; Keith, S.B. (1972), Mineralogy and paragenesis of the 79 mine lead-zinc-copper deposit, Min.Rec. : 3: 247-264. Reference: Keith, S.B. (1972), Mineralogy and paragenesis of the 79 mine lead-zinc-copper deposit, Min.Rec. : 3: 247-264. 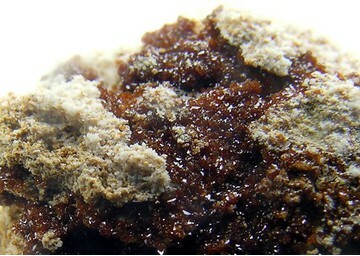 Description: Occurs as earthy, massive material. Reference: Anthony, J.W., et al (1995), Mineralogy of Arizona, 3rd.ed. : 135. Reference: Anthony, J.W., et al (1995), Mineralogy of Arizona, 3rd.ed. : 116, 142, 163; Perry, D.V. 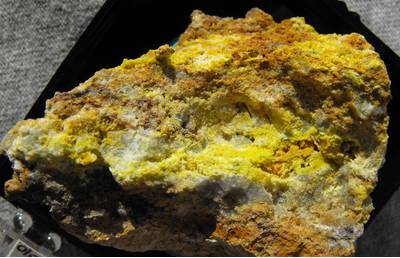 (1969), Skarn genesis at the Christmas mine, Gila Co., AZ, Econ.Geol. : 64: 255-270; Knoerr, A. & M. Eigo (1963), Arizona's newest copper producer - The Christmas mine, Engr. Mining Jour. : 164: 55; Peterson, Nels P. & Swanson (1956), USGS Bull. 1027-H, Geology of the Christmas Copper Mine, Gila Co., AZ: 351, 363.; Willden, Ronald (1964) Geology of the Christmas quadrangle, Gila and Pinal Counties, Arizona: U.S. Geological Survey Bulletin 1161-E, p. E1-E64; Eastlick, J.T., 1968, Geology of the Christmas mine and vicinity, Banner mining district, Arizona, in Ridge, J.D., ed., Ore Deposits of the United States, 1933?1967: American Institute of Mining, Metallurgical, and Petroleum Engineers, Inc., p. 1191-1210.; Ross, Clyde P. (1925a) Ore deposits of the Saddle Mountain and Banner Mining Districts, Arizona. USGS Bull. 771. 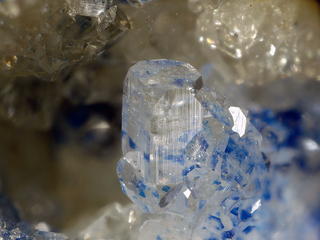 Description: "Brackebuschite" ID was by Raman spectroscopy. 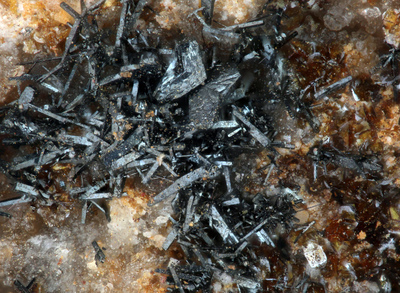 Subsequent analyses have failed to find manganese and probably all or most "brackebuschite" from here is really calderonite. Reference: Anthony, J.W., et al (1995), Mineralogy of Arizona, 3rd.ed. : 156. Reference: Galbraith, F.W. (1947), Minerals of AZ, AZ Bur. of Mines Bull. 153: 21. Description: Found on the 6th. level of the mine. Reference: Anthony, J.W., et al (1995), Mineralogy of Arizona, 3rd.ed. : 177; Keith, S.B. 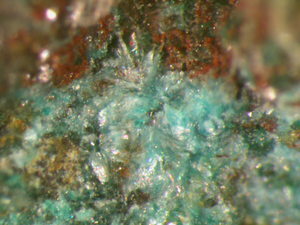 (1972), Mineralogy and paragenesis of the 79 mine lead-zinc-copper deposit, Min.Rec. : 3: 247-264. Description: Occurs on fracture surfaces. 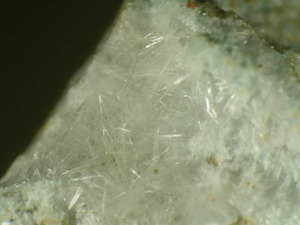 Description: Occurs in contact-metamorphosed diorite at the North side, 800 level. Reference: Anthony, J.W., et al (1995), Mineralogy of Arizona, 3rd.ed. : 179, 225. Reference: Ross, Clyde P. (1925a) Ore deposits of the Saddle Mountain and Banner Mining Districts, Arizona. USGS Bull. 771. 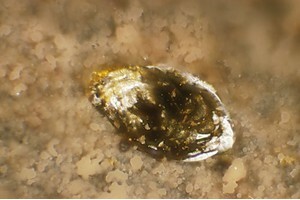 Description: As lamellae of probable exsolution origin in chalcopyrite, in the pyrrhotite-chalcopyrite zone pof the lower Martin orebody. Reference: Anthony, J.W., et al (1995), Mineralogy of Arizona, 3rd.ed. : 195; Perry, D.V. 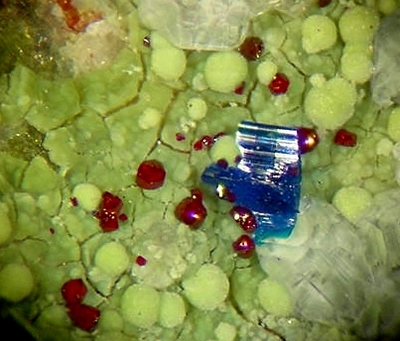 (1969), Skarn genesis at the Christmas mine, Gila Co., AZ, Econ.Geol. : 64: 255-270; ; Eastlick, J.T., 1968, Geology of the Christmas mine and vicinity, Banner mining district, Arizona, in Ridge, J.D., ed., Ore Deposits of the United States, 1933?1967: American Institute of Mining, Metallurgical, and Petroleum Engineers, Inc., p. 1191-1210. 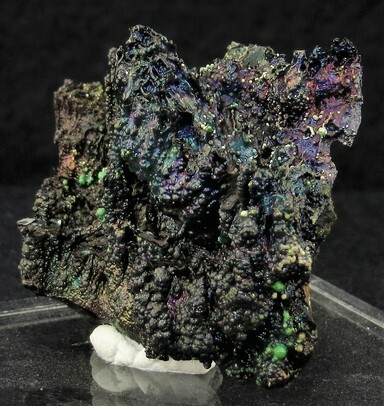 Description: Occurs as crusts of micro-crystals hidden beneath drusy quartz on which diopside spherules are perched. Reference: Anthony, J.W., et al (1995), Mineralogy of Arizona, 3rd.ed. : 208. Reference: Galbraith, F.W. & D.J. 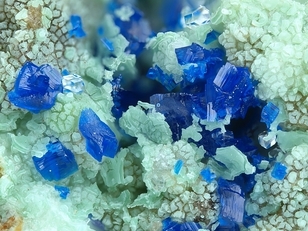 Brennan (1959), Minerals of AZ: 89. Reference: MRDS database Dep. ID #10062184, MRDS ID #TC35486. Reference: Anthony, J.W., et al (1995), Mineralogy of Arizona, 3rd.ed. : 221. Reference: Anthony, J.W., et al (1995), Mineralogy of Arizona, 3rd.ed. : 225. Description: Occurs as an important constituent of skarns formed in Martin Formation & Escabrosa Limestone; in contact-metamorphosed diorite at North side 800 level. Reference: Anthony, J.W., et al (1995), Mineralogy of Arizona, 3rd.ed. : 179, 225; Perry, D.V. 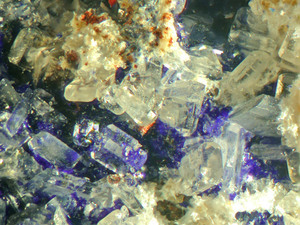 (1969), Skarn genesis at the Christmas mine, Gila Co., AZ, Econ.Geol. : 64: 255-270. 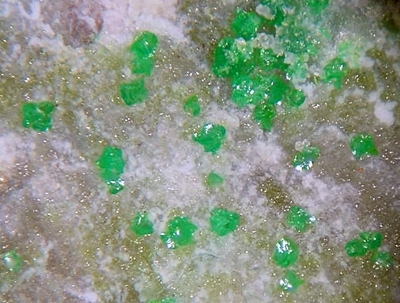 Description: Occurs as abundant coatings or thick botryoidal crusts on fracture surfaces or embedded in the rock; replacing diopside; as micro green spheres. Reference: Cesbron, F.P. 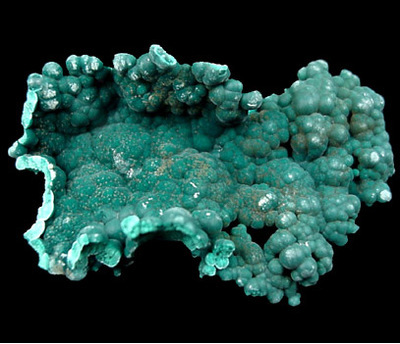 & S.A. Williams (1980), Apachite and gilalite, two new copper silicates from Christmas, AZ, Mineralogical Magazine: 43: 639-641; Anthony, J.W., et al (1995), Mineralogy of Arizona, 3rd.ed. : 231, 428. Habit: Arching whiskers to 12 inches long; growth rate to 3 inches/year. Description: Abun. post-mining min. on walls. Reference: Anthony, J.W., et al (1995), Mineralogy of Arizona, 3rd.ed. : 243; Keith, S.B. (1972), Mineralogy and paragenesis of the 79 mine lead-zinc-copper deposit, Min.Rec. : 3: 247-264. Description: Mass. 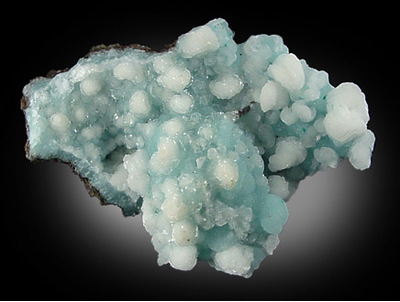 encrustations on hemimorphite above 470 level. Reference: Anthony, J.W., et al (1995), Mineralogy of Arizona, 3rd.ed. : 249; Keith, S.B. 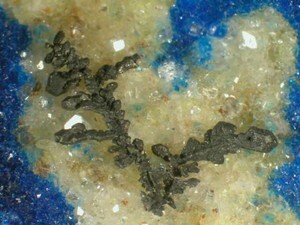 (1972), Mineralogy and paragenesis of the 79 mine lead-zinc-copper deposit, Min.Rec. : 3: 247-264. 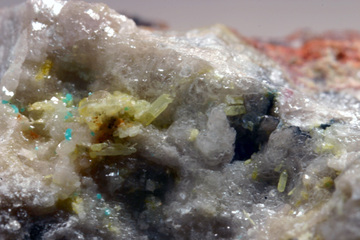 Description: Cuprian Hisingerite inclusions in Calcite. One pocket find circa 1979. Identified by Sid Williams. Description: A constituent of wad. Reference: Anthony, J.W., et al (1995), Mineralogy of Arizona, 3rd.ed. : 252; Keith, S.B. 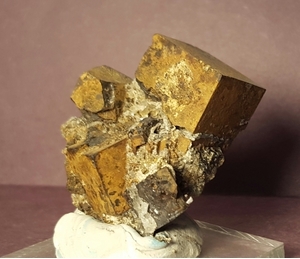 (1972), Mineralogy and paragenesis of the 79 mine lead-zinc-copper deposit, Min.Rec. : 3: 247-264. 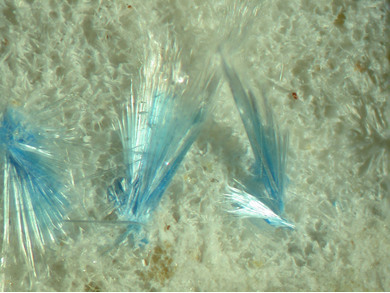 Reference: Anthony, J.W., et al (1995), Mineralogy of Arizona, 3rd. ed. : 254. 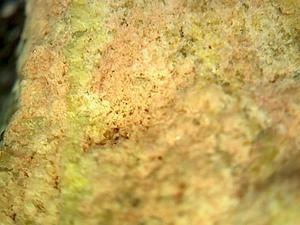 Description: Occurs in Tertiary basalts as pseudomorphs after olivine. Reference: Galbraith, F.W. & D.J. 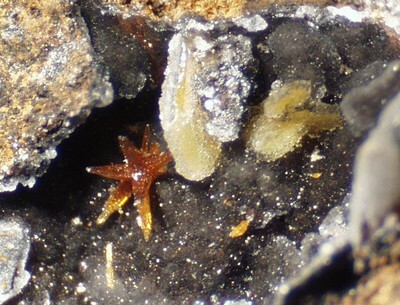 Brennan (1959), Minerals of AZ: 90, 95, 107. 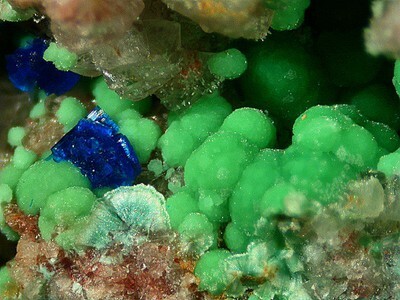 Reference: Anthony, J.W., et al (1995), Mineralogy of Arizona, 3rd. ed. : 231. 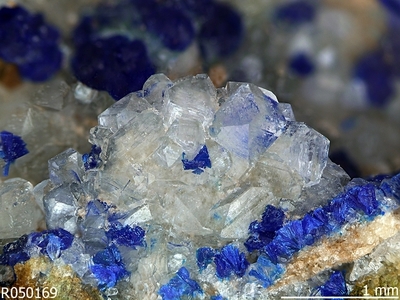 Reference: Anthony, J.W., et al (1995), Mineralogy of Arizona, 3rd. ed. : 271; Crowley, J.A. (1980), The C. and B. mine, Gila Co., AZ, Min.Rec. : 11: 213-218. 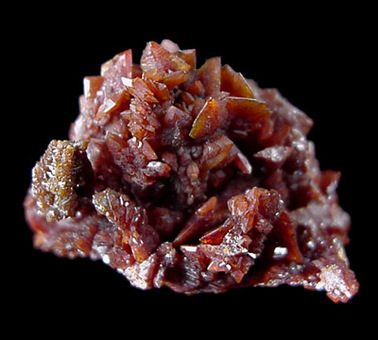 Description: Occurs in vugs and veinlets in diorite & replacing garnet in skarn. Reference: Anthony, J.W., et al (1995), Mineralogy of Arizona, 3rd.ed. : 272; Perry, D.V. 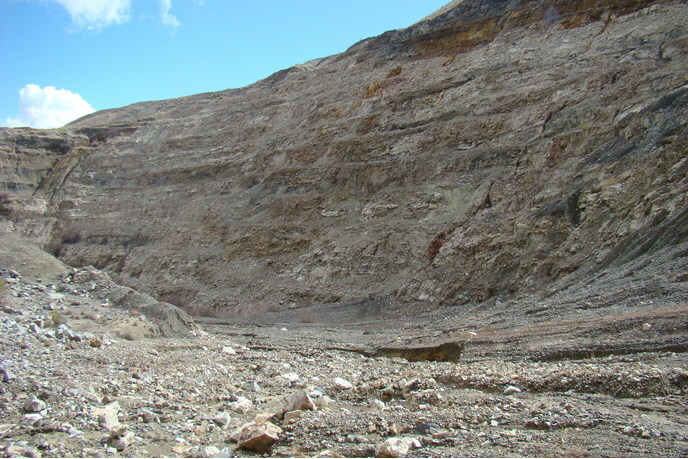 (1969), Skarn genesis at the Christmas mine, Gila Co., AZ, Econ.Geol. : 64: 255-270. 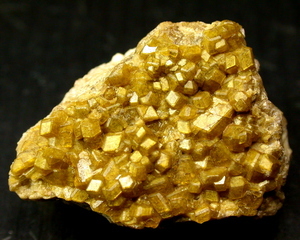 Description: Constituent of limonite in oxidized portions of deposit. Reference: Anthony, J.W., et al (1995), Mineralogy of Arizona, 3rd.ed. : 275; Keith, S.B. 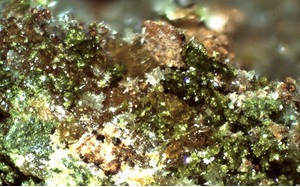 (1972), Mineralogy and paragenesis of the 79 mine lead-zinc-copper deposit, Min.Rec. : 3: 247-264. Reference: Anthony, J.W., et al (1995), Mineralogy of Arizona, 3rd.ed. : 276. 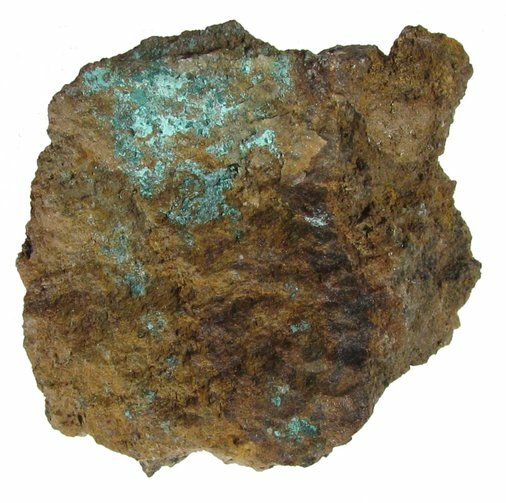 Description: Irregular masses with oxidized copper ore.
Reference: Anthony, J.W., et al (1995), Mineralogy of Arizona, 3rd.ed. : 288; Wilson, E.D. (1951), Arizona zinc and lead deposits, part II, AZ Bur. of Mines Bull. 158: 80; Keith, S.B. 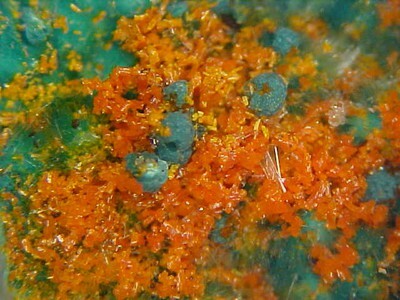 (1972), Mineralogy and paragenesis of the 79 mine lead-zinc-copper deposit, Min.Rec. : 3: 247-264; Kiersch, G.A. (1949), Structural control and mineralization at the Seventy-nine mine, Gila Co., AZ, Econ.Geol. : 44: 24-39; Galbraith, F.W. 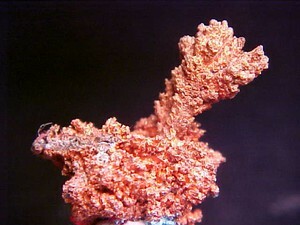 & Brennan (1959), Minerals of AZ: 36. Habit: Short, acicular, prismatic, aggregated into blankets. Description: Sparingly as encrustations & efflorescences, blankets - floor 5th. level & 6th level, associated with pyrite. Reference: Anthony, J.W., et al (1995), Mineralogy of Arizona, 3rd.ed. : 292; Wilson, E.D. (1951), Arizona zinc and lead deposits, part II, AZ Bur. of Mines Bull. 158: 80; Keith, S.B. (1972), Mineralogy and paragenesis of the 79 mine lead-zinc-copper deposit, Min.Rec. : 3: 247-264; Galbraith, F.W. 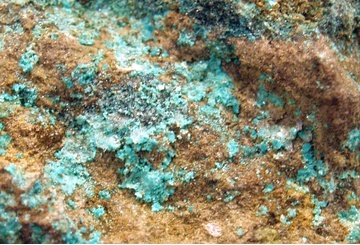 & Brennan (1959), Minerals of AZ: 61. 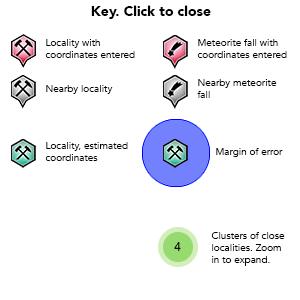 Description: Occurs in the crosscut - 6th. level of the mine. Reference: Anthony, J.W., et al (1995), Mineralogy of Arizona, 3rd.ed. : 292; Keith, S.B. (1972), Mineralogy and paragenesis of the 79 mine lead-zinc-copper deposit, Min.Rec. : 3: 247-264. 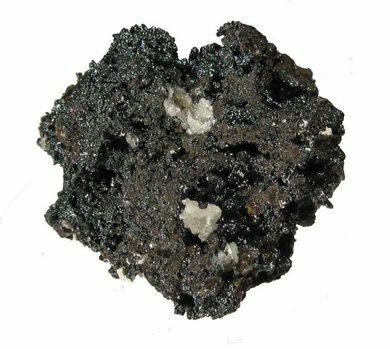 Description: Occurs in hydrothermally altered andesite. Reference: Anthony, J.W., et al (1995), Mineralogy of Arizona, 3rd.ed. : 293. 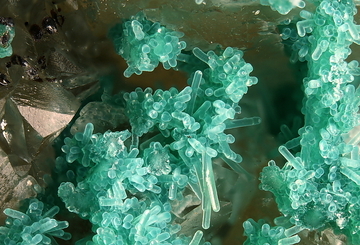 Description: Spherules of delicate, twisted or matted fibers in cavities in gangue associated with fibrous malachite. 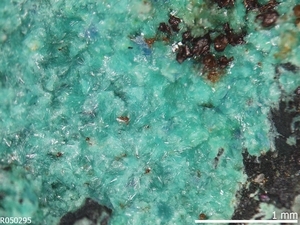 Color here resembles creaseyite. Reference: Anthony, J.W., et al (1995), Mineralogy of Arizona, 3rd.ed. : 301. 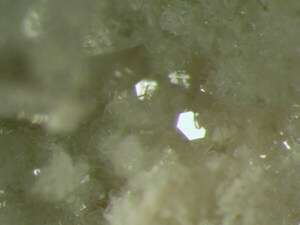 Habit: Rare, tiny crystals to 0.1 mm; cubic. 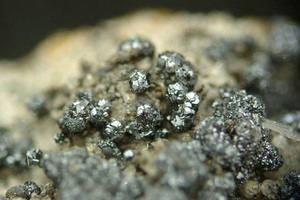 Description: Occurs on sphalerite & galena. Reference: Anthony, J.W., et al (1995), Mineralogy of Arizona, 3rd.ed. : 161, 316; Keith, S.B. (1972), Mineralogy and paragenesis of the 79 mine lead-zinc-copper deposit, Min.Rec. : 3: 247-264; Kiersch, G.A. (1949), Structural control and mineralization at the Seventy-nine mine, Gila Co., AZ, Econ.Geol. : 44: 24-39.. 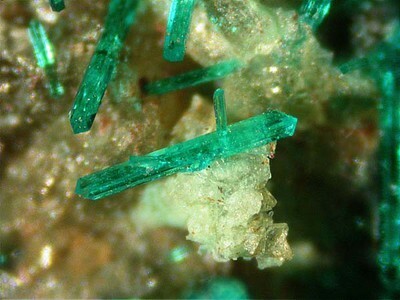 Description: Occurs associated with talc & tremolite adjacent to anhydrite-sulfide veinlets in diopside hornfels, forming most of footwall of the lower Martin orebody; also in skarn rocks & some of the hornfels. Reference: Anthony, J.W., et al (1995), Mineralogy of Arizona, 3rd.ed. : 326. Description: Assoc. 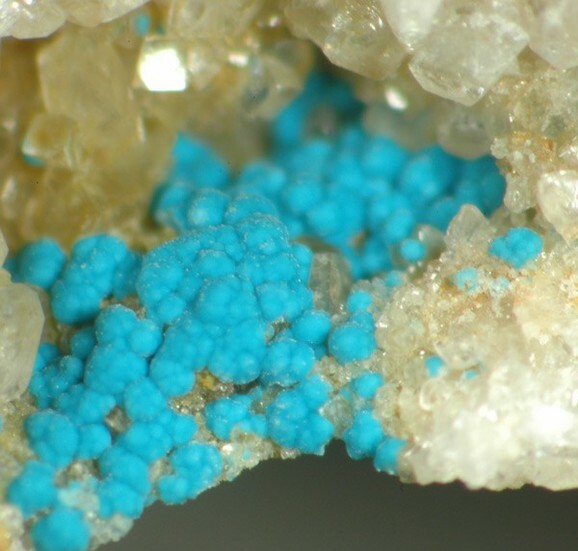 with aurichalcite, rosasite & rarely murdochite. 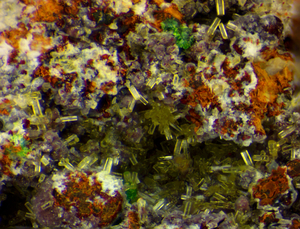 Description: Common supergene mineral in replacemetn deposits in limestone & rhyolite porphyry. Reference: Anthony, J.W., et al (1995), Mineralogy of Arizona, 3rd.ed. : 337; Wilson, E.D. (1951), Arizona zinc and lead deposits, part II, AZ Bur. of Mines Bull. 158: 80; Kiersch, G.A. (1949), Structural control and mineralization at the Seventy-nine mine, Gila Co., AZ, Econ.Geol. : 44: 24-39. 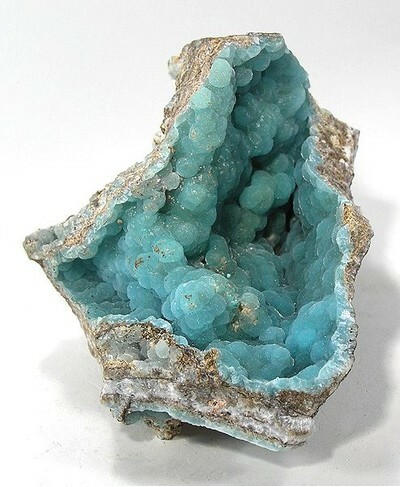 Description: Occurs sparingly on chrysocolla. Reference: Anthony, J.W., et al (1995), Mineralogy of Arizona, 3rd.ed. : 343; Keith, S.B. (1972), Mineralogy and paragenesis of the 79 mine lead-zinc-copper deposit, Min.Rec. : 3: 247-264. 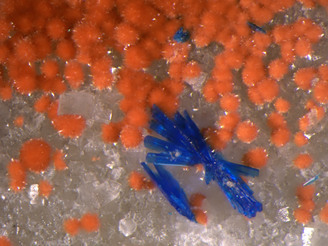 Habit: Spherules of radial, acicular crystals. 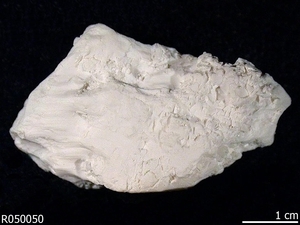 Description: Occurs in veinlets & on fracture surfaces in metamorphosed limestone that contains associated minerals. 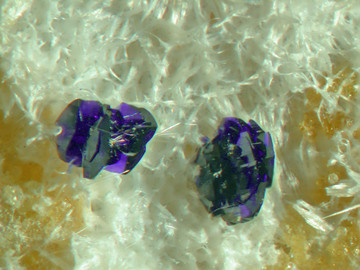 Description: As tiny, euhedral prisms projecting into vugs in grossular-diopside tactites. Reference: Anthony, J.W., et al (1995), Mineralogy of Arizona, 3rd.ed. : 362. Reference: Anthony, J.W., et al (1995), Mineralogy of Arizona, 3rd.ed. : 358. 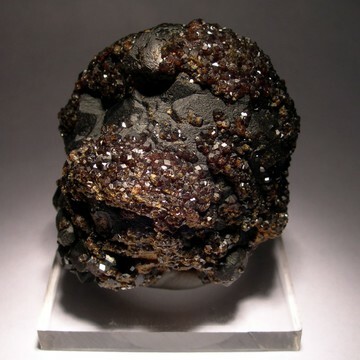 Description: As rings around nuggets of unaltered sphalerite. Reference: Anthony, J.W., et al (1995), Mineralogy of Arizona, 3rd.ed. 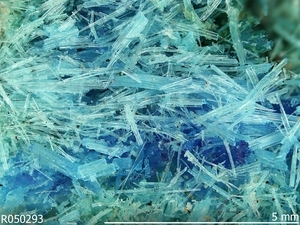 : 264; Williams, S.A. (1976), Junitoite, a new hydrated calcium zinc silicate from Christmas, AZ, Am.Min. : 61: 1255-1258. 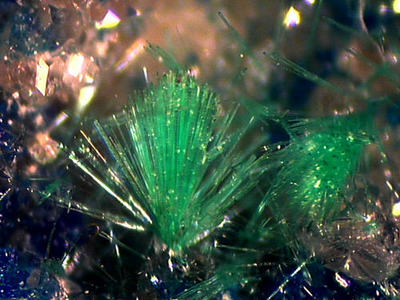 Description: Occurs associated with phlogopite & tremolite adjacent to anhydrite-sulfide veinlets in diopside hornfels. Reference: Anthony, J.W., et al (1995), Mineralogy of Arizona, 3rd.ed. : 326, 388; Perry, D.V. 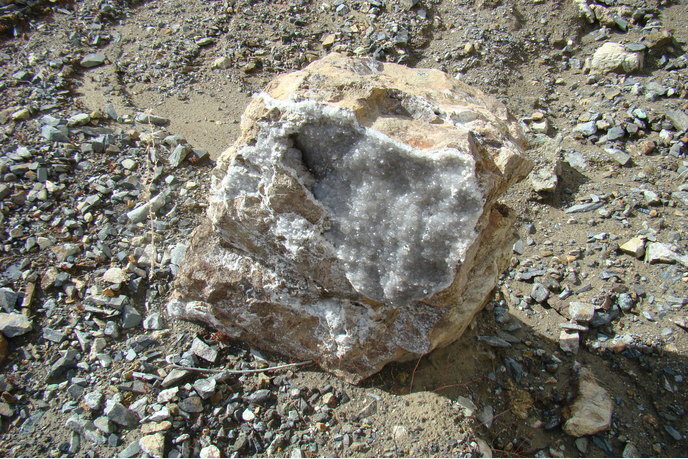 (1969), Skarn genesis at the Christmas mine, Gila Co., AZ, Econ.Geol. : 64: 255-270. Description: Found in dump material. Reference: Anthony, J.W., et al (1995), Mineralogy of Arizona, 3rd.ed. : 392; Keith, S.B. 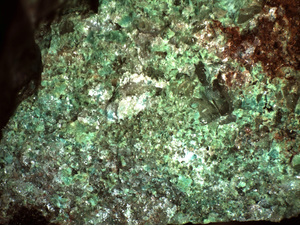 (1972), Mineralogy and paragenesis of the 79 mine lead-zinc-copper deposit, Min.Rec. : 3: 247-264. Description: Occurs as rare plates plastered on fracture surfaces in metalimestone. Reference: Anthony, J.W., et al (1995), Mineralogy of Arizona, 3rd.ed. : 397, 428; Cesbron, F.P. 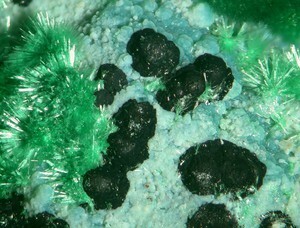 & S.A. Williams (1980), Apachite and gilalite, two new copper silicates from Christmas, AZ, Mineralogical Magazine: 43: 639-641. 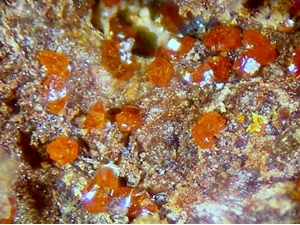 Description: Rod-shaped grains in chalcopyrite in pyrrhotite-chalcopyrite outer ore zone of orebodies, replacing dolomite. Reference: Anthony, J.W., et al (1995), Mineralogy of Arizona, 3rd.ed. : 409; Perry, D.V. 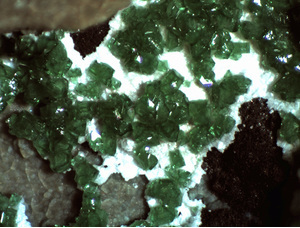 (1969), Skarn genesis at the Christmas mine, Gila Co., AZ, Econ.Geol. 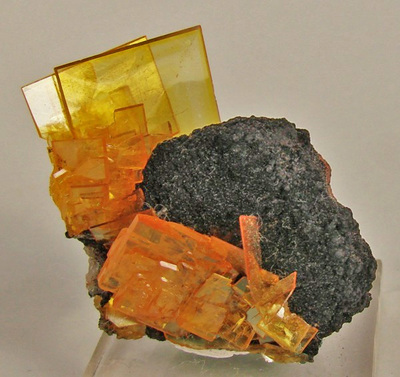 : 64: 255-270; Anthony, Bideaux, Bladh, Nichols: "Handbook of Mineralogy", Vol. 1, 1990. 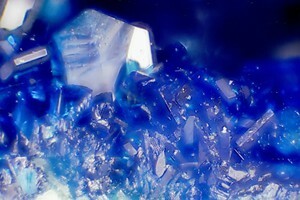 Description: Moderately abundant as cleavable prisms to several cm long. 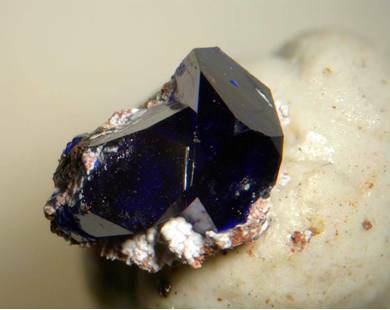 The approved IMA new mineral proposal (IMA1977-006) specifies the Bawana mine as the type locality. 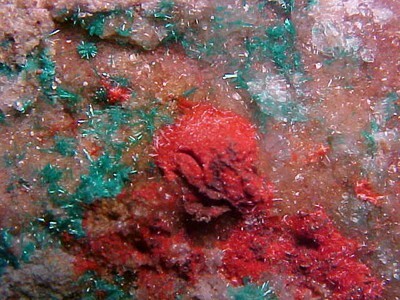 The occurrence of the mineral at the Christmas mine is not mentioned in the proposal. Reference: Anthony, J.W., et al (1995), Mineralogy of Arizona, 3rd.ed. : 419.; Kampf, A. R., Mills, S. J., Merlino, S., Pasero, M., McDonald, A. M., Wray, W. B., & Hindman, J. R. (2012). 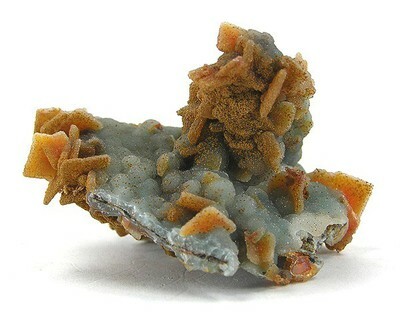 Whelanite, Cu2Ca6 [Si6O17 (OH)](CO3)(OH) 3 (H2O) 2, an (old) new mineral from the Bawana mine, Milford, Utah. 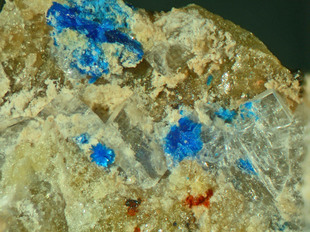 American Mineralogist, 97(11-12), 2007-2015. 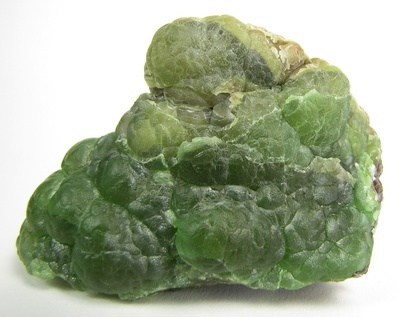 Description: Occurs with an assemblage of retrograde metamorphic minerals including tobermorite, apachite & gilalite. Kiersch, G.A. (1952) Geology of the Tornado-Tam O'Shanter Peaks area, Dripping Spring Mountains, Arizona, in Shride, A.F., McKee, E.D., and Harshbarger, J.W., eds., Guidebook for field trip excursions in southern Arizona, Geological Society of America, Cordilleran Section Meeting, April 10-14, 1952, Tucson, Arizona: Arizona Geological Society, p. 86-90. Galbraith, F.W. & D.J. 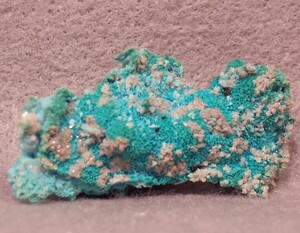 Brennan (1959), Minerals of Arizona: 90, 95, 107. 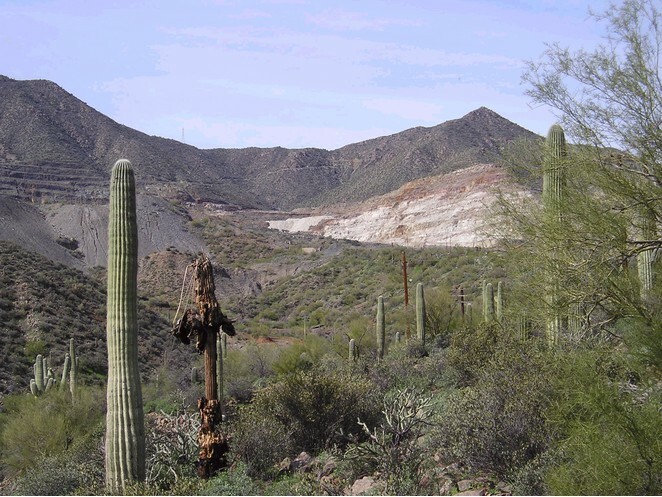 Reid, A.M. (1966) Stratigraphy and paleontology of the Naco formation in the southern Dripping Spring Mountains, near Winkelman, Gila County, Arizona: M.S thesis, Univ. of Arizona, Tucson, 124 p.